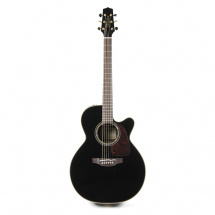 Takamine designed the affordable G30 series with serious beginners or more advanced guitar players who have a limited budget in mind. 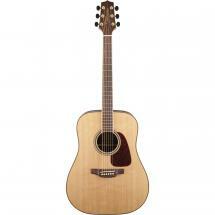 The GD30-NAT is an acoustic western guitar with a simple yet elegant finish. 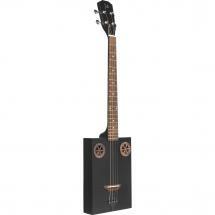 This guitar might be inexpensive, but with its solid top construction, it produces a full and rich sound. 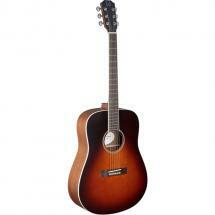 Just like with any Takamine instrument, you can expect high quality and a very comfortable playing experience. 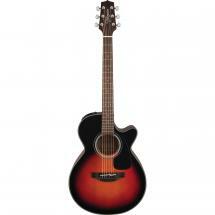 Get musically inspired with the Takamine GD30-NAT. 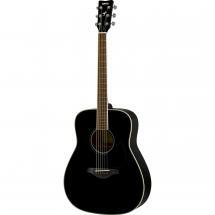 This steel-string acoustic guitar is fitted with a solid spruce top for a richer and more open sound than that of a similar guitar with a laminated top. That sound is even further enhanced by means of better volume and projection. The sides and back are made of the warm-sounding mahogany, which perfectly matches the sweet and clear tonal characteristics of the spruce. 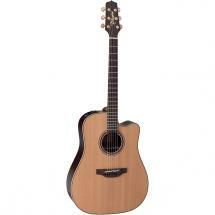 The entire body of the Takamine GD30-NAT is finished with a high-gloss, transparent lacquer, emphasising the beautiful natural colour of the wood. 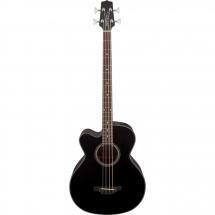 The back of the neck has a matte lacquer for a satin-like feel and more playing comfort. Thanks to the split bridge saddle, the tone of the GD30-NAT sounds perfectly pure up until the highest fret. Another feature of the bridge is that it has a pinless design, so that the strings are attached along the back of the bridge, for easier and quicker string changes.